3 basic controls: level, gain, and tone. Classic overdrive configuration with 3 basic controls: level, gain, and tone. Lets you add edge to your crunch and give your sound more bite or growl. Extruded aluminum chassis. Easy-access battery compartment. With a monstrously heavy sound, the Zombie creates a rectified asymmetric distortion with user control of the symmetry balance of the distortion output waveform. 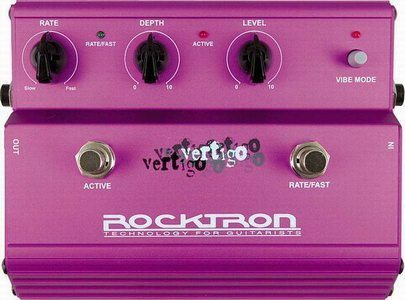 In essence, this creates the psycho-acoustic 3-D sound positioning effect that will make your sound jump out of the cab. 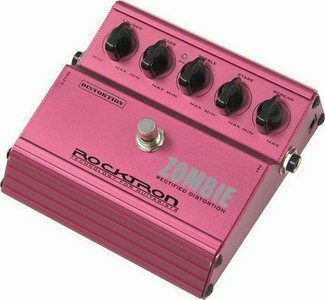 The Zombie gives you distortion that cuts through the mix, plus a 2-band EQ. 128 presets for guitar and bass and lets you use up to 10 effects together. The Rocktron Xpression Multi-Effects Processor comes with 128 presets for guitar and bass and lets you use up to 10 effects together. 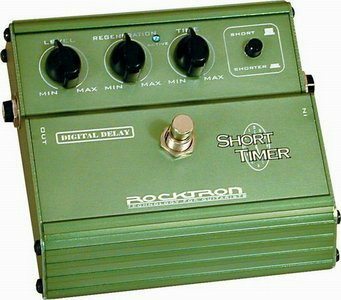 Includes many vintage and classic stompbox-style effects, with multi-voiced delay and chorus for both live and recording. Delay and Rate tap controls, 4-band parametric EQ, active/passive input switch, D.I. out with speaker simulator, analog bypass, and Hush noise reduction gives you lots of options. 24-bit DSP processing, MIDI programmable. tube and analog solid-state distortion. 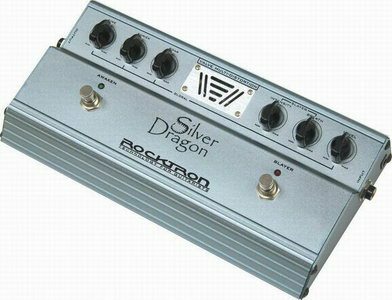 The Rocktron Silver Dragon Tube Distortion Pedal combines the best of both worlds–tube and analog solid-state distortion! This dual-headed beast can deliver whatever distortion flavor you’re wanting. For that tube sound you love, the Silver Dragon has a 12AX7. The Awaken switch rouses the tube for duty while Fire handles the initial distortion drive level of the 12AX7. When you kick in the solid-state side, called Slayer, you combine the tube distortion with solid state distortion to give you tons of gain with tight, punchy distortion, completely tweakable to your liking. perfect for playing rockabilly or surf styles. 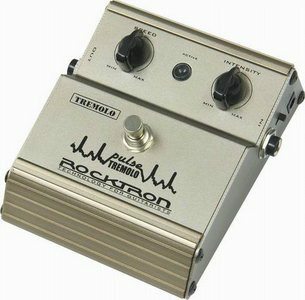 This pedal is a slapback machine, perfect for playing rockabilly or surf styles. 2 modes provide a range of quick delays between 200ms and 400ms. A level control adjusts overall volume of the effect, and a regeneration control lets you adjust the number of repetitions. Extruded aluminum chassis. Easy-access battery compartment. Bright blue status LED. 75dB of raging gain with amazingly little noise. 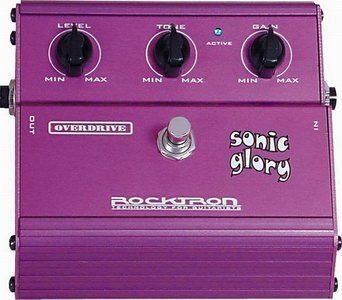 Specially designed for players who want grungy, punchy, ultrahigh gain with endless sustain. 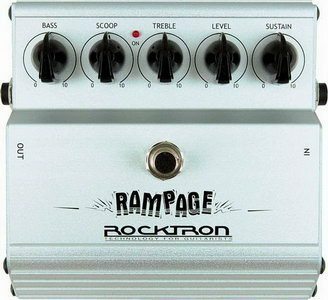 A scoop control lets you cut mids up to 30dB, and the Rampage is designed to give you 75dB of raging gain with amazingly little noise. Crank the sustain and feel your instrument take on a life of its own. 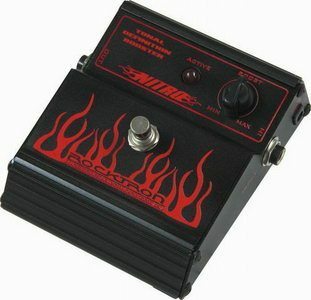 It’s the wildest, screamin’est, most outrageous distortion pedal on the planet. triangle or square LFO pulse modulation waveforms. Smooth, non-symmetrical signal modulation via a photo-resistor delivers vintage-style tube-amp tremolo you can control with Speed and Intensity knobs. Pulse is controlled by an LFO. A switch provides triangle or square LFO pulse modulation waveforms. over 22dB of gain for intense signal boosting and enhances articulation with soft compression. Most guitar players are happy with their sound but, like a race car driver, they are always seeking that extra edge that pushes it over the top. The Nitro gives you that edge. 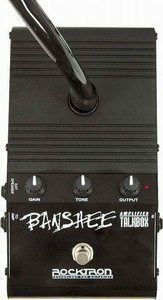 It offers over 22dB of gain for intense signal boosting and enhances articulation with soft compression. 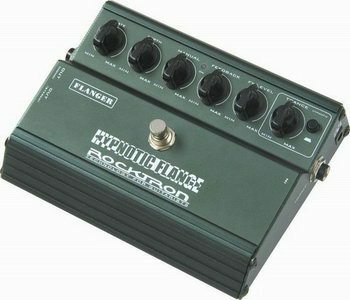 wide range of tones from scooped heavy metal to modern rock distortion. 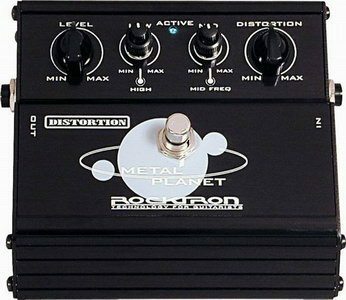 Equipped with a 4-band EQ designed specifically for guitar distortion and a mid-frequency sweep, Metal Planet delivers a wide range of tones from scooped heavy metal to modern rock distortion. Extruded aluminum chassis, easy-access battery compartment, and bright blue status LEDs. from arpeggio sounds to funky, randomized chorus.